There’s no such thing as normal. And that’s the way we like it. 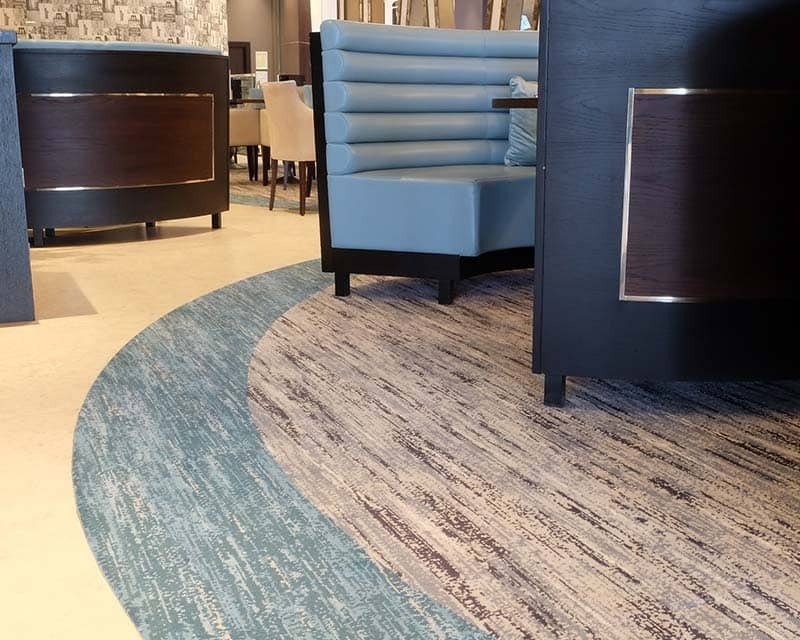 We’ve specialised in flooring for the hospitality and leisure sector for many years, and our track record of successful projects speaks for itself. To date, we’ve worked closely with businesses of every type and scale, from prestigious hotels and popular nightclubs through to busy cinemas, casinos and pubs. This diversity in our work is something we love. A quick look through some of our projects tells you just how varied our experience and expertise is, and you’ll notice that we don’t have a fixed style of our own. That’s because we work closely with clients to identify and visualise their unique interpretation of an interior. Then we use our unrivalled resources and bespoke capability to deliver whatever look, style or overall effect they settle upon. We went back to ink on paper to come up with some creative mark making to produce a fully unique design. Working closely with the client to make sure every inch of their version was interpreted. An exciting build project required a range of sophisticated contemporary designs. Calderdale worked across several areas, paying close attention to detail, in order to tailor each design to fit perfectly within each space through colour, pattern and texture. 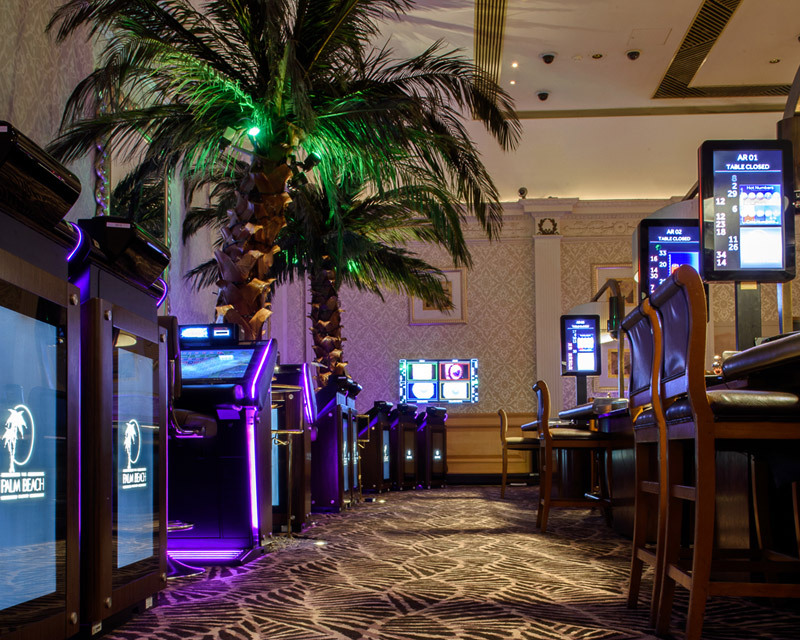 This stunning statement design features an organic palm leaf pattern, inspired by the vibrant tropical theme of this casino and designed to sit perfectly in its surroundings. We worked closely with our client to produce a bold and contemporary design that would create a fun environment with fluidity and movement. 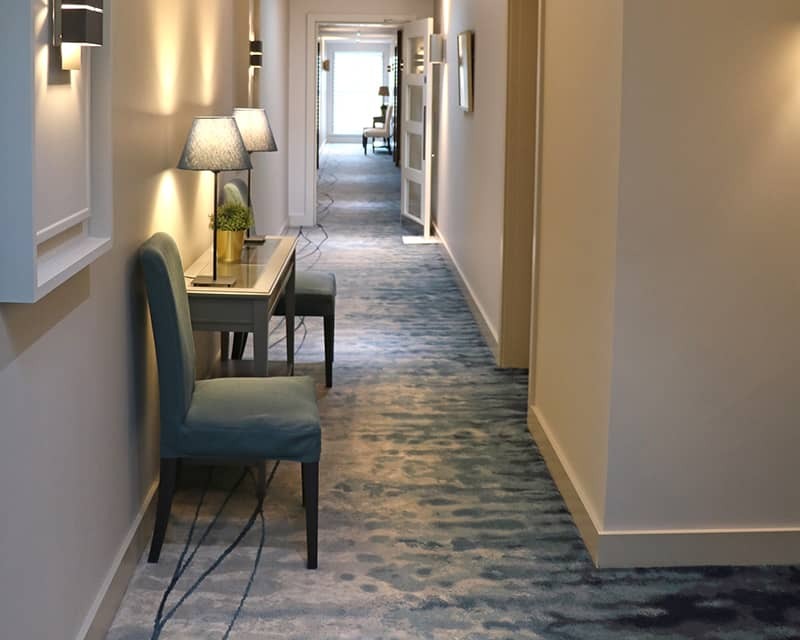 A delicate balance of pattern and colour was required for this project, in keeping with the refined elegance of the hotel. 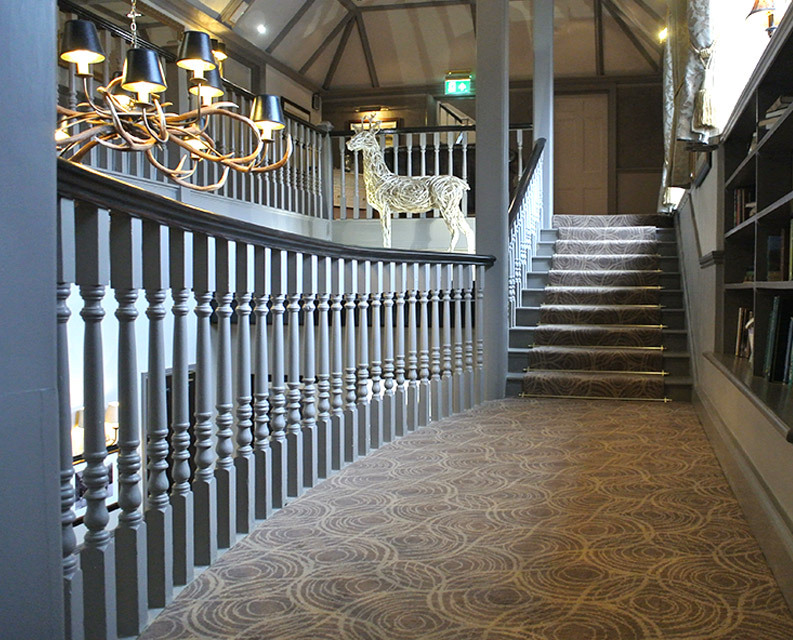 The subtle tonal contrast of the carpets we provided gave each space an open feel and added a sense of luxury.